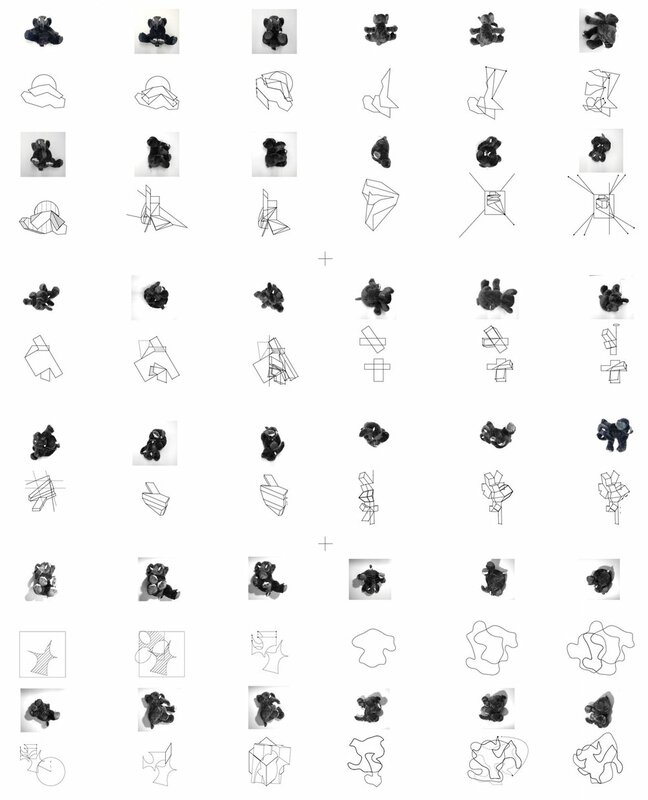 The project started with volumetric studies that incorporate the forms/massing/ideas from the abstraction of known object and implement them in order to engage both the site and program. Trying to understand and interpret the program in multuple ways and begin to illustrate and draw out relationship between each ontexts. 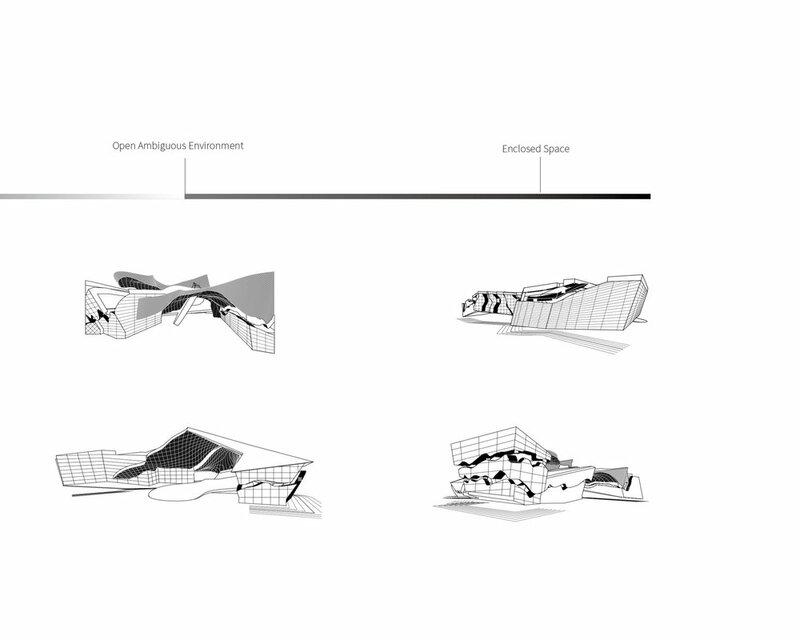 The project proposes a high porous institute by using heterogeneous geometry and to discover different kinds of in-between and ambiguous environment. The program have been categorized into three parts with the composition of these geometries. The program has three categories: the performative, static and neutral. The performative program inhabits the long continuous volume along side the main traffic route thus the instantiate is always displayed as active.